Salmon fuels British Columbia’s coastal ecosystems—but the fish’s power extends far inland. It’s common to see bears gorging on salmon in places like British Columbia’s Great Bear Rainforest. In coastal regions, salmon provide a vital source of nutrients that support the wider ecosystem. But a new study shows that even as far as 1,000 kilometers from the coast, bears count on salmon. For the study, led by Megan Adams, a University of Victoria doctoral candidate and Hakai Institute-Raincoast Conservation Foundation scholar,* scientists analyzed hair samples from bears throughout British Columbia, using a chemical technique called stable isotope analysis. The researchers collected samples from grizzly and black bears in May and June from 2010 to 2014 at hair-snagging stations on islands and in mainland coastal valleys. They then compared the results to hair samples collected by provincial employees across nearly 700,000 square kilometers of habitat throughout the rest of British Columbia from 1995 to 2003. In total, their study included samples from 880 grizzly bears and 557 black bears. 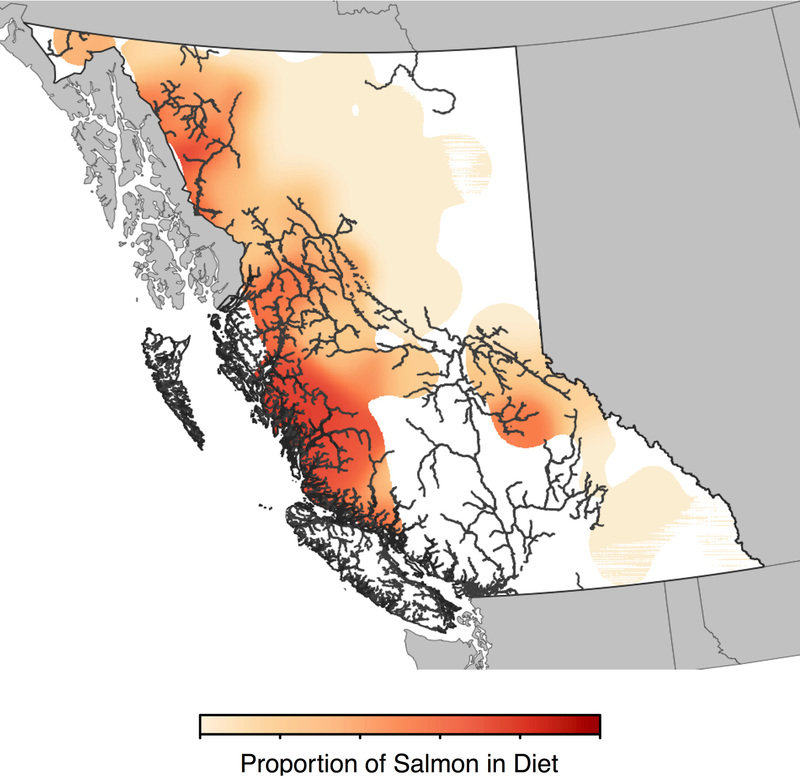 The hotspots cut deep inland in habitat around salmon-rich rivers such as the Nass, Skeena, and Fraser. Salmon-eating bears were found as far from the coast as the end of the Fraser River, which is about 1,000 kilometers inland, and at the provincial boundary with Alberta near Quesnel Lake, which is 612 kilometers away from the coast. “In the interior, where it’s harder for bears to make a living because they do have less access to salmon than on the coast, those access points, [where bears find salmon] are probably quite critical for those populations,” Adams says, explaining that bears often access food in shallow water or slower moving creeks. Aside from the geographic distribution, the study also showed that grizzly bears eat more salmon than black bears, and males of both species consume more salmon than females. The findings are important because bears that have access to protein-rich salmon have an easier time hibernating in the winter. Higher body fat also helps female bears produce more cubs. Grant MacHutchon, a wildlife biologist who studies grizzly bears in the Nelson, British Columbia, area and was not involved in the new study, says the results are not a huge surprise. “There are lots of systems in the interior where salmon are accessible,” he says. MacHutchon says bears are regularly seen fishing for salmon in the Fraser and Chilko Rivers—although he notes it can be a fluctuating food source based on the annual salmon run. In other parts of the interior, the major food source for bears is huckleberries, he says. Both MacHutchon and Adams say the latest results show the areas around identified salmon hotspots could be better protected. Adams says that this approach—of keeping the bears’ needs in mind—is a guiding principle for the Wuikinuxv Nation. Adams collaborates with Wuikinuxv managers as part of the Central Coast First Nations Bear Working Group. Adams adds that bears and salmon—two of British Columbia’s most important species—aren’t thinking about geopolitical boundaries. She says the animals don’t care that salmon are managed federally and bears are managed provincially. 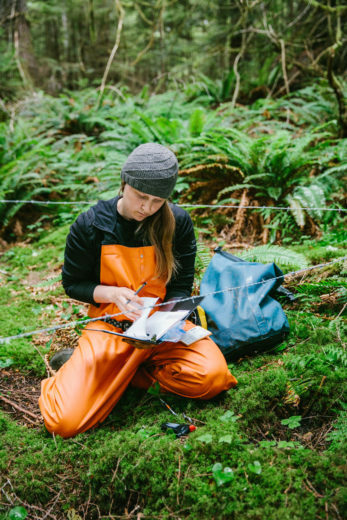 *Megan Adams’s research is supported by a grant from the Tula Foundation, which also funds Hakai Magazine and the Hakai Institute. The magazine is editorially independent of the institute and foundation. Colette Derworiz is an award-winning journalist whose work includes nearly 18 years of daily news reporting on the environment, health, social issues, politics, and education for the Calgary Herald. 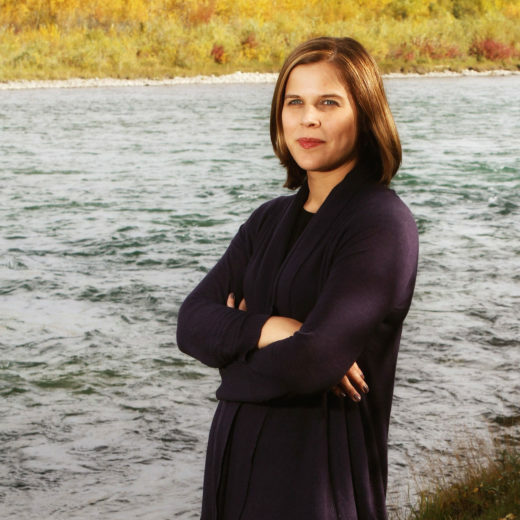 Since leaving the newspaper in late 2016, Derworiz spent a semester at the University of Calgary’s Faculty of Law as its journalist in residence. She’s now a freelancer living in Canmore, Alberta, where she traded in her prairie-girl roots for life in the mountains. Cite this Article: Colette Derworiz “1,000 Kilometers from the Coast, Bears Gorge on Ocean Fish,” Hakai Magazine, Jun 22, 2017, accessed April 21st, 2019, https://www.hakaimagazine.com/news/1000-kilometers-coast-bears-gorge-ocean-fish/. Chucking chum and coho carcasses into a salmon-spawning stream supports more than just an ecosystem.